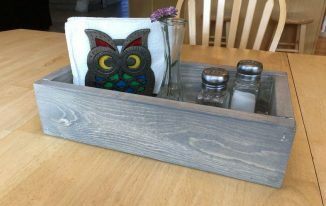 Upcycle TV trays by personalizing them for each family member is easy, inexpensive, and fun to do. 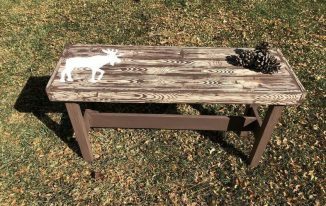 Great for bring the whole family together as they help personalize it, and work together on it. 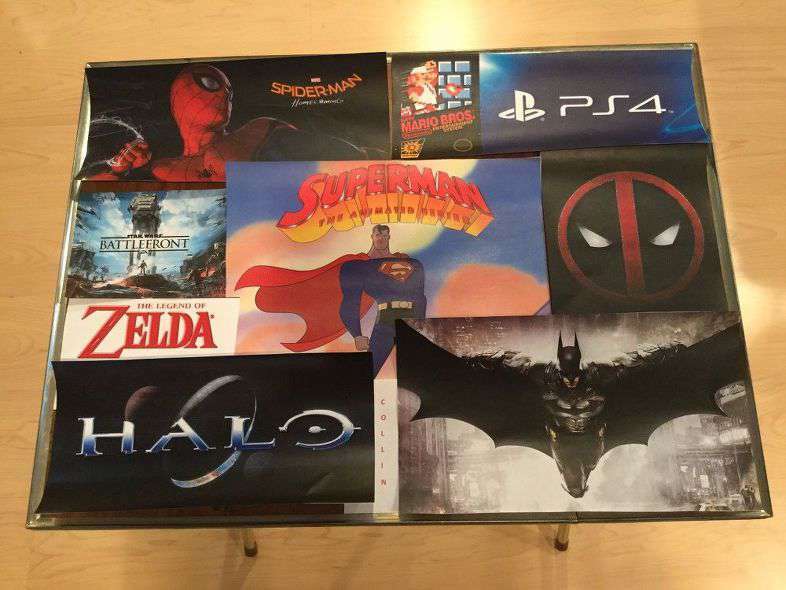 These also make great gift ideas! 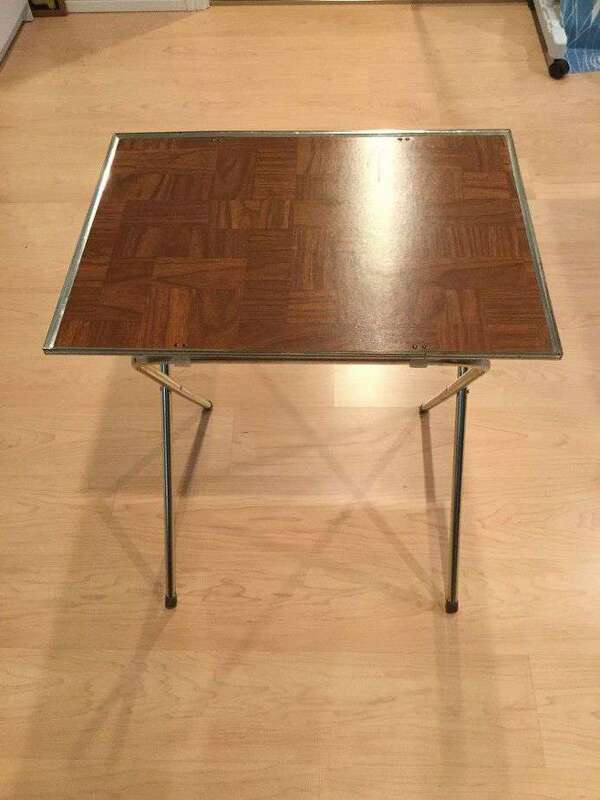 I found these TV trays at a garage sale. My kids do their homework on school laptops. 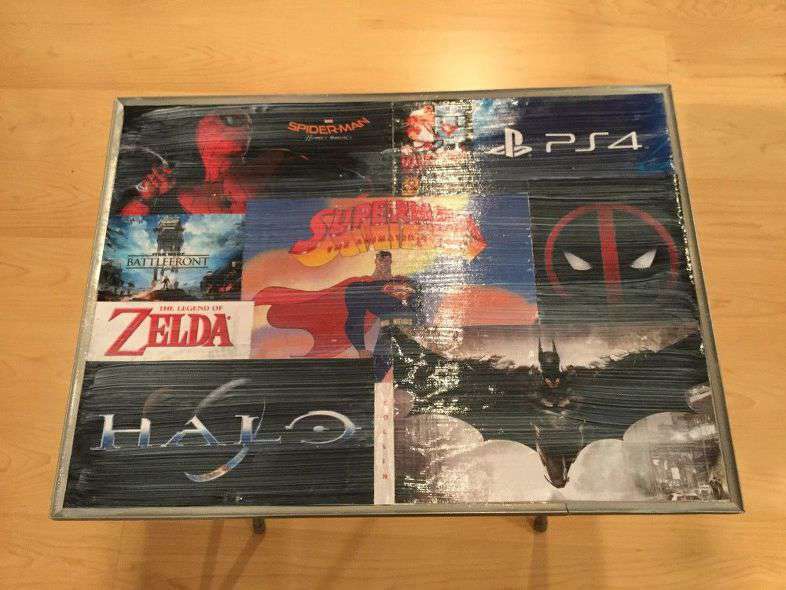 I wanted to personalize these trays for them to use for homework, as well as snacks, games, puzzles, etc. Plus they collapse and can be put away – which I love. 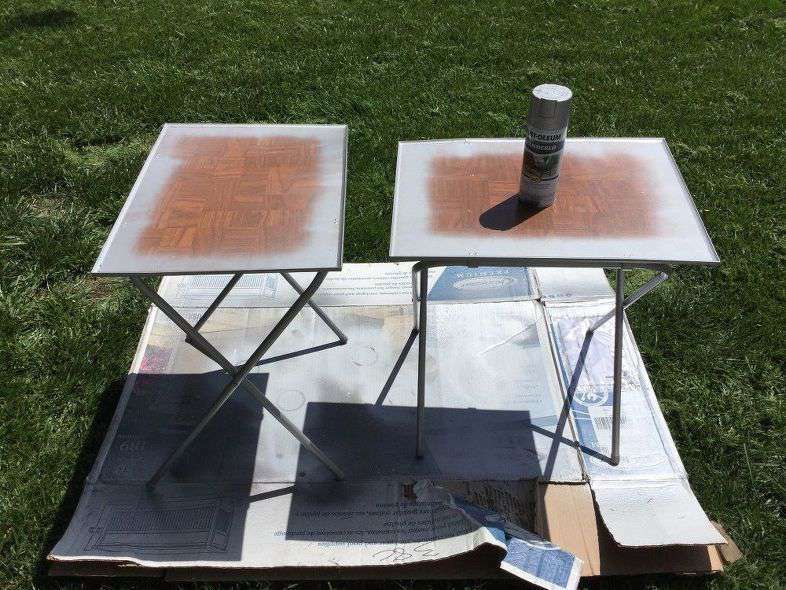 I started by spray painting the legs and TV tray edging with silver paint and let it dry completely. 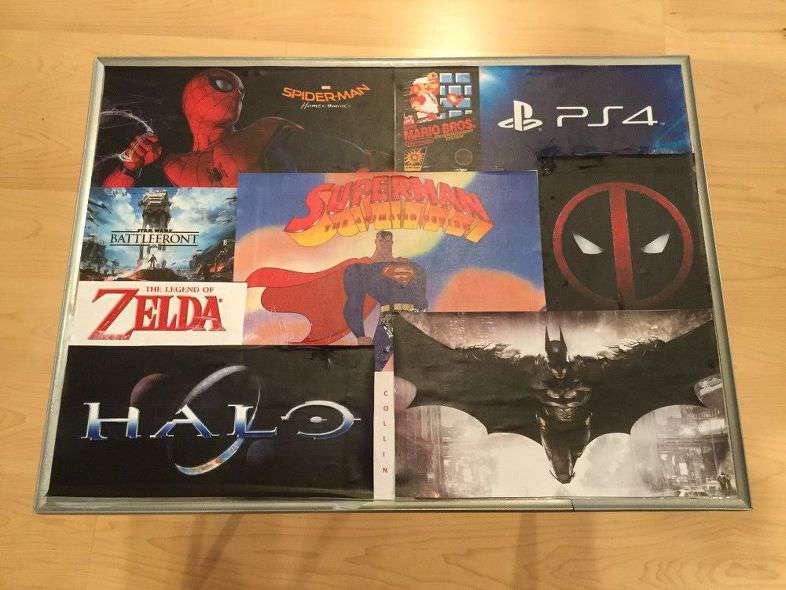 I worked with each of my kids to pick out picture of things they love. These are my son’s pictures. 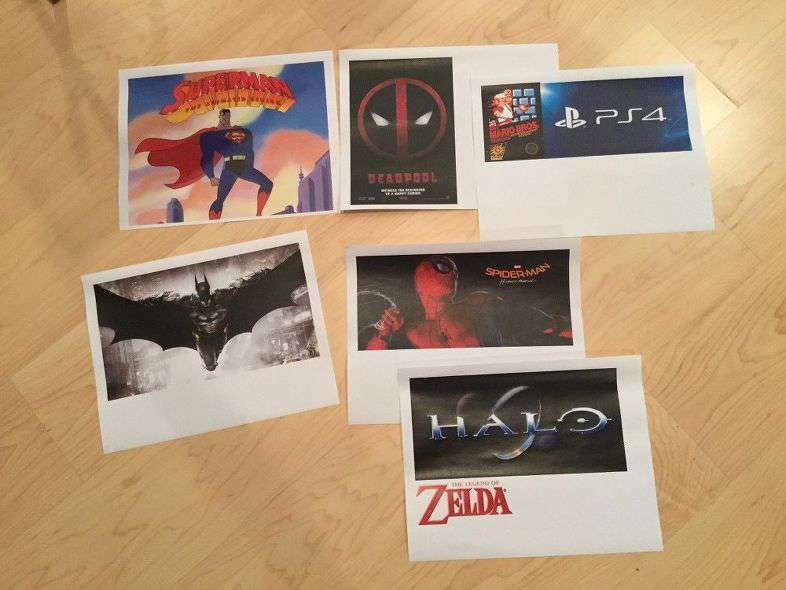 I printed them on regular paper. 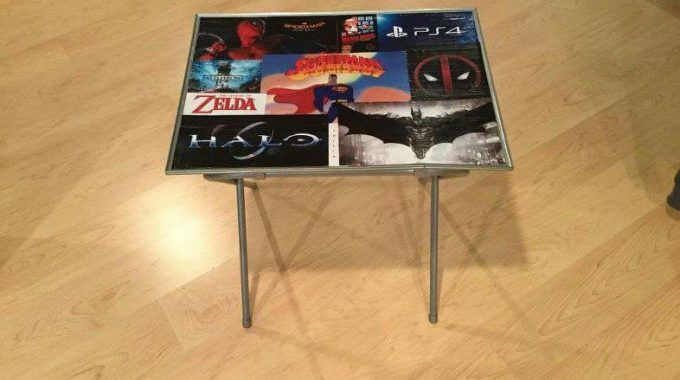 I used a scissors and cut them all out. Printer info – I used a laser printer, you can use an ink jet but you’ll need to lightly spray it with Patricia Nimocks’s Acrylic Sealer and let it dry completely so the ink won’t run. 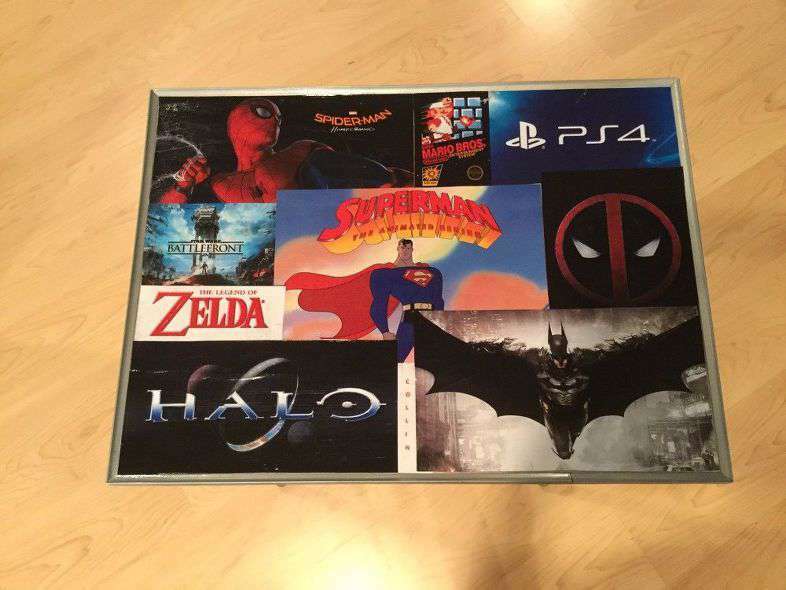 I arranged all the pictures on the TV tray so they fit and covered the whole tray. Next move your pictures aside and you’ll be using Mod Podge to adhere the pictures into place. 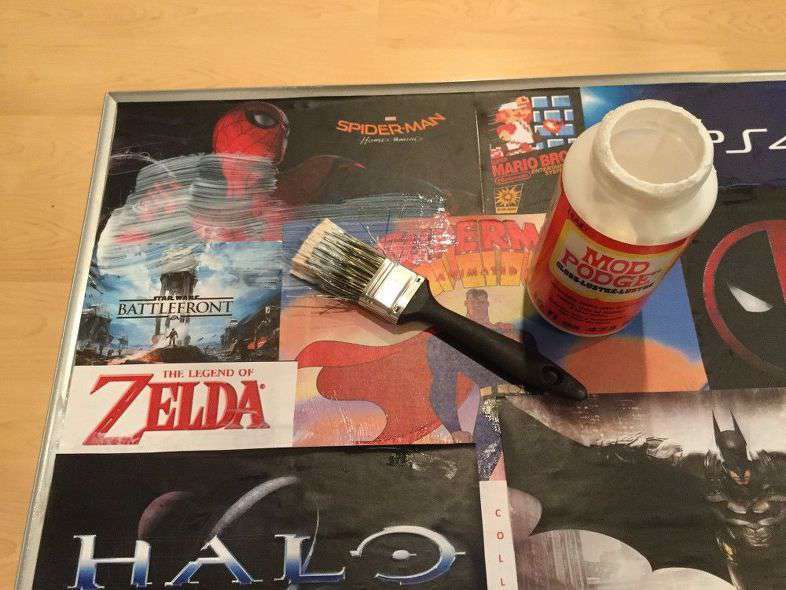 Paint on a layer of Mod Podge onto the TV tray. 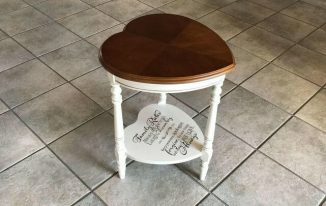 Place your pictures onto the Mod Podge. 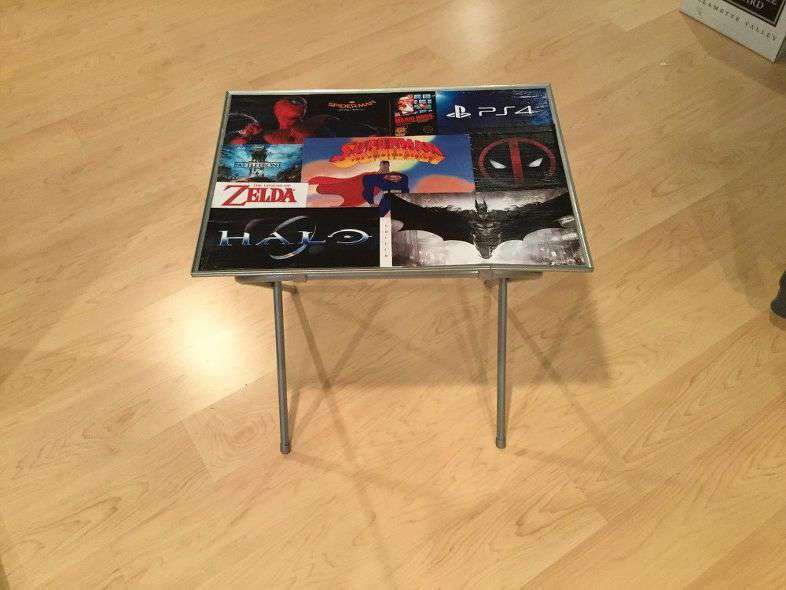 Continue doing this until all your pictures are glued to the tray. Next you paint on more Mod Podge on top of the pictures, smoothing out all the bubbles along the way. 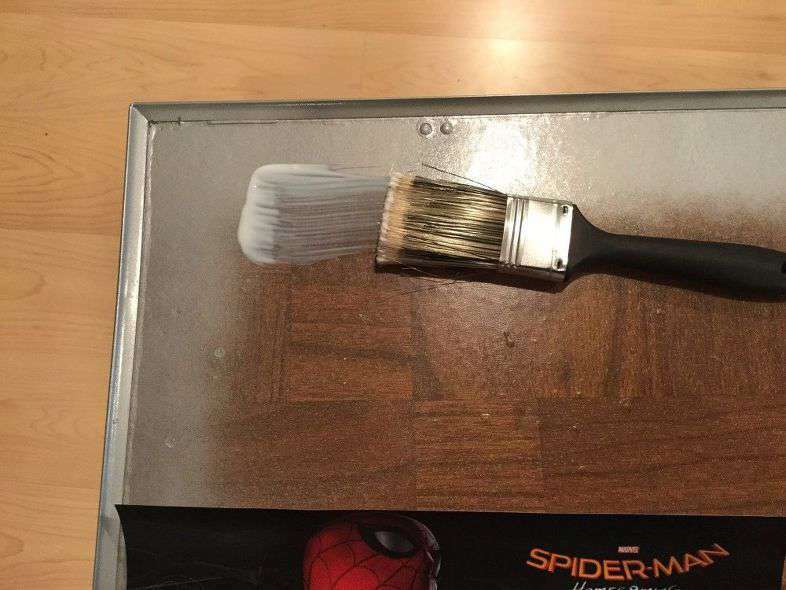 After you have painted the entire tray, let it dry completely. 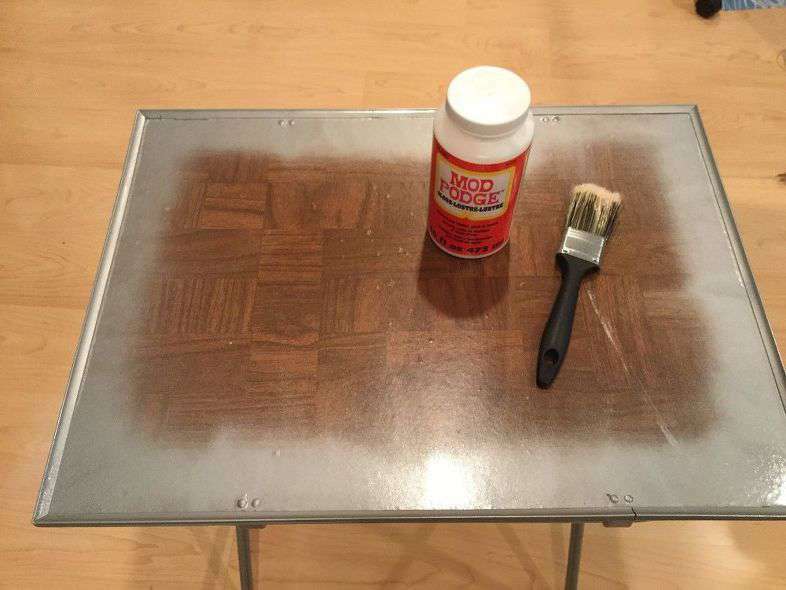 Apply a second coat of the Mod Podge and let it dry completely. 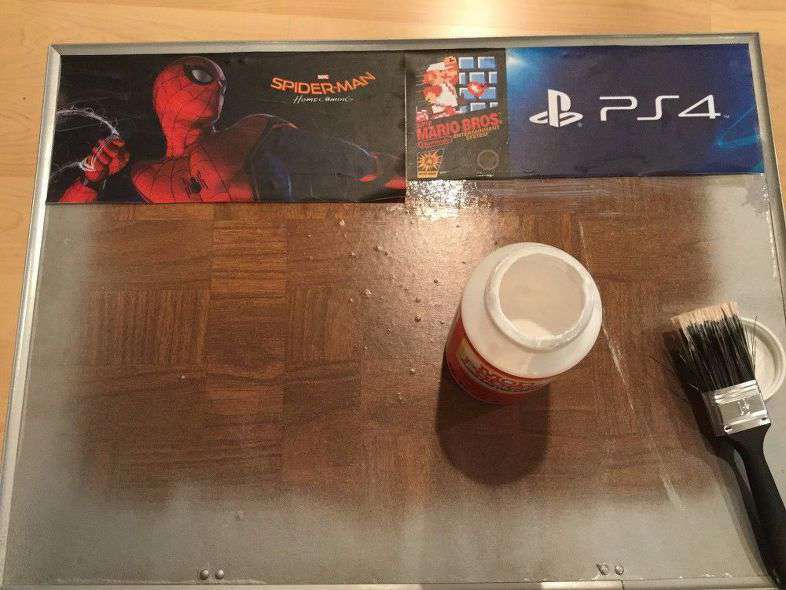 Here is the tray when it was completely dry. My kids love these trays and use them all the time. 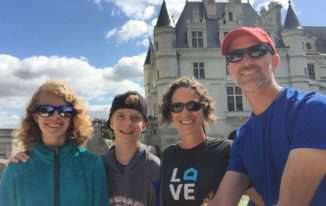 Thank you so much Donna and my kids truly love them and use them even more than I thought they would.